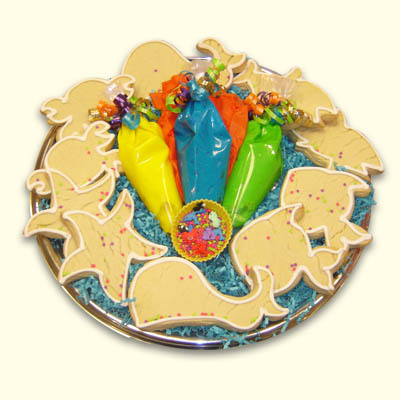 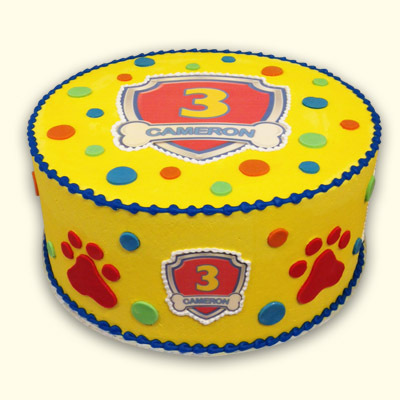 Plan a Paw Patrol celebration with a cake and cookie favors. 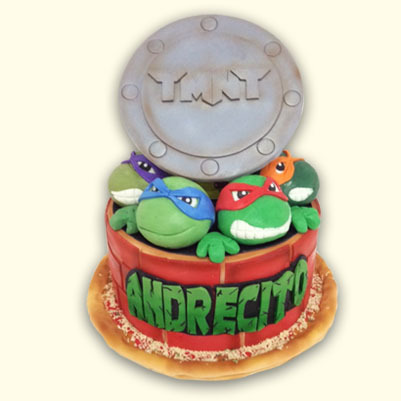 Select the cake design, size and flavor for your guests. 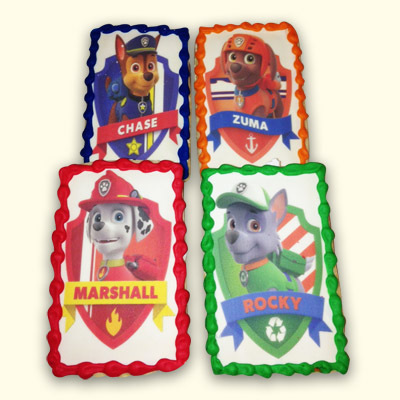 Paw Patrol cookie favors and cupcakes are also available.